Truck Accident Spinal Cord Injury Costs and Recoveries | Hupy and Abraham, S.C. 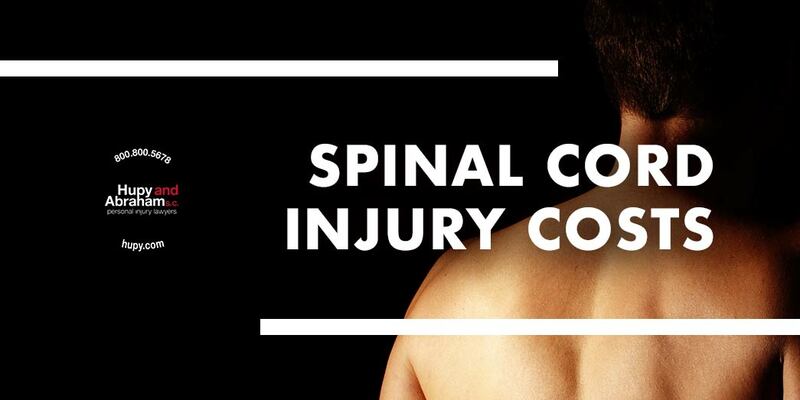 Vehicle accidents—such as truck crashes—are the leading cause of spinal cord injury in the United States. The force of a truck wreck can cause the spinal cord to stretch, the vertebrae to break, or the spinal cord to be severed. The results may be permanent. While you can’t undo the damage that has been done, there are things that you can to do improve the quality of your life. These things, however, may be expensive and you will need to take legal action, with the help of an experienced truck accident lawyer, to get the recovery that you deserve. High tetraplegia is $1,064,716 for the first year and $184,891 for every subsequent year. Low tetraplegia is $769,351 for the first year and $113,423 for every subsequent year. Paraplegia is $518,904 for the first year and $68,739 for every subsequent year. Incomplete motor function is $347,484 for the first year and $42,206 for every subsequent year. These numbers include health care costs and living expenses, but they do not include indirect costs such as lost income. An experienced truck accident lawyer can help you get the fair recovery that you deserve by investigating the cause of the crash, by presenting evidence and persuasive arguments to the insurance company or court, and by making sure that all of your rights are protected. You have already lost enough because of someone else’s negligence. Make sure that your financial rights are protected and that you have the money to get the care that you need while maintaining your quality of life by contacting a truck accident lawyer today for a free consultation. Contact us online or call us directly at 800.800.5678.